Utah Celery Seeds. A very light green micro that tastes just like celery, but with a more intense flavor. Great addition to any micro salad or sandwich to add crunch and celery flavor. 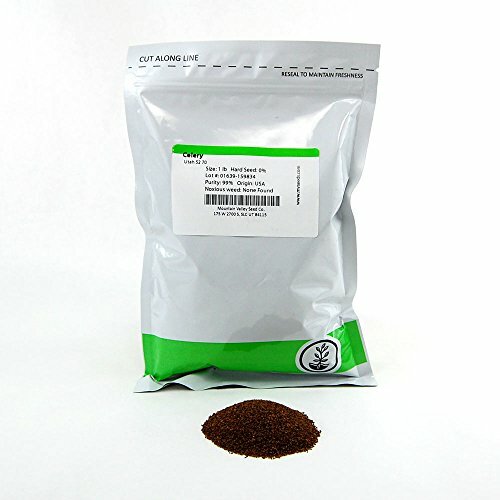 Notes & Growing Tips: Celery seed is a very slow germinating and growing seed. It is more difficult to grow and is not recommended for beginners. Use less water in the tray initially (1.5 cups instead of 2). You will need to mist the celery seeds as normal twice a day to keep them damp. Stay persistent as these tiny little fellas aren't in a hurry. Celery greens are have a sharp celery flavor that is best used sparingly in a microgreens salad to add variety.